A strong rhythmic component is perhaps the defining characteristic of popular music, and well-developed beat and rhythm skills are as important to the modern keyboard player as to any other popular-styles instrumentalist. Indeed, hand patterning in modern keyboard playing often looks more like bongo or conga drumming than conventional piano playing. 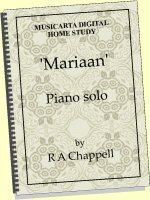 In normal piano teaching, the development of natural rhythm skills is often left entirely to chance. If fact, a disappointingly large proportion of people – many musicians among them – have a fatalistic belief that, when it comes to rhythm skills and mastering syncopation, you have either ‘got it’ or you haven’t, and sadly scarcely even think that it might be possible to train your rhythm skills directly. 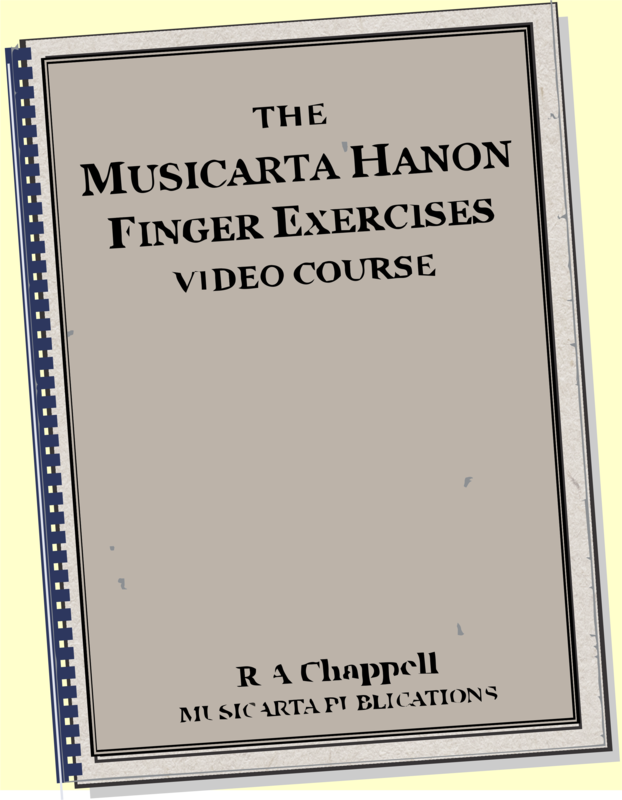 The Musicarta Beat and Rhythm Workbook is the distillation of three teaching room-tested mini-syllabuses which have proved that this fatalistic diagnosis is far from the truth, and that, with the right material and methodical, incremental lessons, anybody can master syncopated rhythms unattainable with the default try-and-try-again approach. Scroll down or link through to the three series of lessons here. Popular music has a strong rhythmic component – and the modern-styles keyboard player needs well-developed beat and rhythm skills just as much as any other instrumentalist. The Musicarta Beat and Rhythm Workbook includes three full lesson series that will give you absolutely the best chance to get over the hump and master pro two-handed syncopation! Popular music is characterised by a high proportion of notes played off the beat, known in music as syncopation and anticipation. Ragtime (ragged time) music, the fore-runner of jazz, exploited syncopation as its main selling point – and popular music has absorbed the habit wholesale. Modern popular-styles musicians need to have these beat and rhythm skills ‘in the bone’. The Syncopation and Anticipation modules in the Beat and Rhythm Workbook methodically to build a melodic style of two-handed syncopation which will be instantly familiar to anybody who knows classic Western pop music. Listen to the development of syncopation in this simple run of tenths. The actual musical content might not coincide entirely with the modern keyboard player’s target and goals – but the rhythmic skills coached in this series are timeless and indispensable, and the simplicity of the material makes focusing on the rhythmic component that much easier. Like the recent Modes and Twelve-bar Styles workbooks, the Musicarta Beat and Rhythm Workbook is a hybrid online/offline publication. 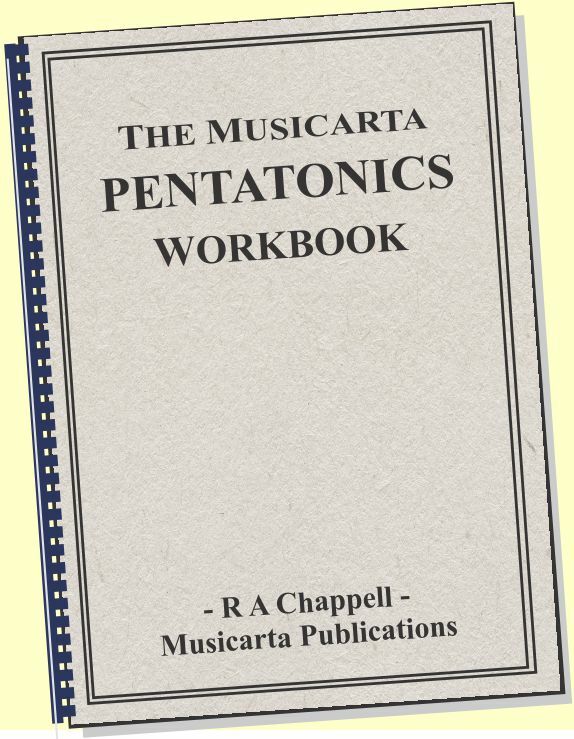 The indexed workbook pdf file has the module text with all the written-out musical examples, while the Workbook modules are mirrored exactly online – where you can listen to the audio of all the examples and watch the unlisted embedded teaching videos. The online pages are accessed through a private, password-protected Members Only home page. You receive your personalized password to this members-only portal in your purchase confirmation email. Tell your browser to ‘Remember password’ and you’ll only have to enter it once! Syncopated, two-handed rhythms at the keyboard are not easy, but with the right teacher, everybody can be much better at syncopation than they ever thought possible! The Musicarta Beat and Rhythm Workbook can be that teacher. With dozens of online audios to copy and desktop coaching videos courtesy of MidiPiano, you can’t fail to make stellar progress. As remarked above, modern keyboard playing often looks very like bongo or conga drumming, and Musicarta heartily recommends that all modern keyboard players – all modern musicians, in fact – become expert ‘desktop drummers’. 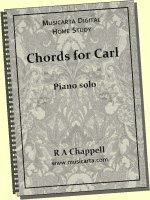 Speedier progress with repertoire can often be made by learning complicated rhythms in isolation – away from the keyboard and stripped of the actual notes. Teachers have always encouraged pupils to “clap the rhythm”, and the Tapping Exercises section of the Workbook simply takes this to its logical conclusion – pre-formatted for ‘homework’, too. There’s no idle moment in the day when you can’t be working on your rhythm skills! The Tapping Exercises section of the workbook dispenses with harmonic elements altogether and offers over 200 progressive, two-handed rhythmic patterns in common time for the learner to work through. Notated on simple and intuitive ‘beat maps’ with accompanying on-page audio, these exercises are probably the most direct way of improving beat and rhythm skills currently on offer to the general musician. Here are two sample beat maps showing common pop music rhythms, with the tapping audio files below. Listen out for the 'four in' before the pattern begins. Here's a keyboard riff based on that rhythm. You can immediately see how getting the two-handed rhythm pattern secure before putting the notes in is going to speed up the learning process. Try learning the beat map pattern and see if you can tap along to the music. MidiPiano is a virtual keyboard which you can see in operation on many of the MisterMusicarta YouTube videos. In effect, it turns simple MIDI files into individual coaching videos. It’s freely available, but for your convenience a copy of the application is bundled with the Beat and Rhythm download. MidiPiano is a Windows OS application and is easy and intuitive to use. 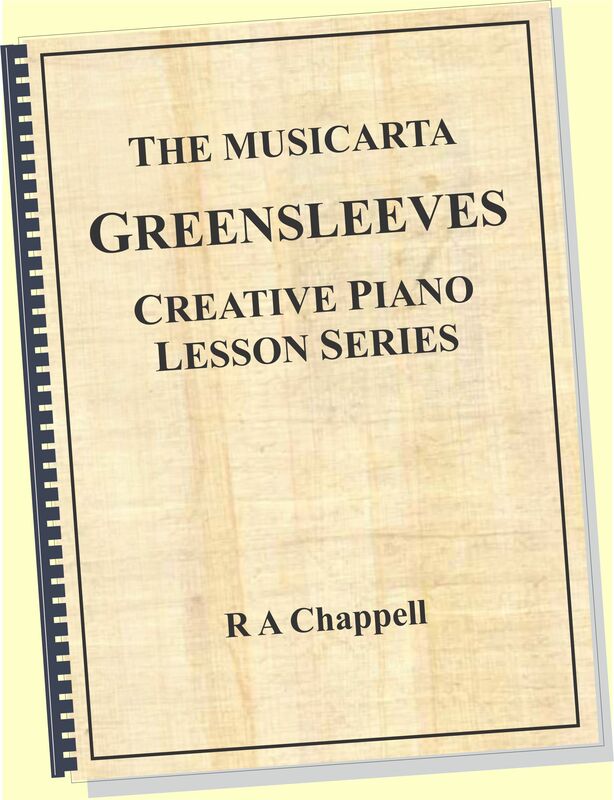 See the Musicarta MidiPiano page for instructions, if any are needed. Synthesia is a possible Mac platform alternative. Both the Syncopation and Anticipation and Snake Dance series have accompanying MIDI files (in the download folder), which you can play on the application. Its Speed controls and Piano Roll pane make it an invaluable learning aid, which Musicarta strongly advises you to investigate! The Snake Dance (aka Streets of Cairo, Poor Little Country Maid) is a perennial novelty favourite, and was the vehicle for the original Mister Musicarta YouTube Snake Dance Syncopation Challenge videos. 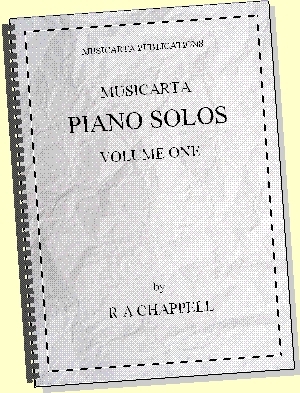 The progressive build-up of this more percussive style of two-handed syncopation has now been formalised and expanded with a series of four two-part variations and modules on grace-note ornamenting, harmonising and development. TLR analysis is just one of the tools the Musicarta Beat and Rhythm Workbook teaches you – to employ when you’ve come to the conclusion that just ‘trying and trying again' isn’t going to work! Playing hands crossed as in the video is always appreciated at concerts, but it does have a serious side. Crossing the hands slightly ‘scrambles’ what the brain sees, focusing your attention even more on which hand’s doing what and bolstering the foundations of your growing syncopation skills. The aim of the series is to provide a sufficient quantity and variety of learning material for skills to develop, and ultimately to foster the ability to improvise your own rhythmic challenges, using the Snake Dance as base material. The Snake Dance series can easily provide a progressive ‘fun’ element in traditional piano lessons. A useful series spin-off is the large number of potential concert performance medleys, like this one. Here's Round Two of the Snake Dance Syncopation Challenge. Can you ‘get it’ from the video, by ear? When it’s not working for you, just ‘trying-and-trying-again’ to get those tricky two-handed rhythms is plain unscientific, inefficient and frustrating. 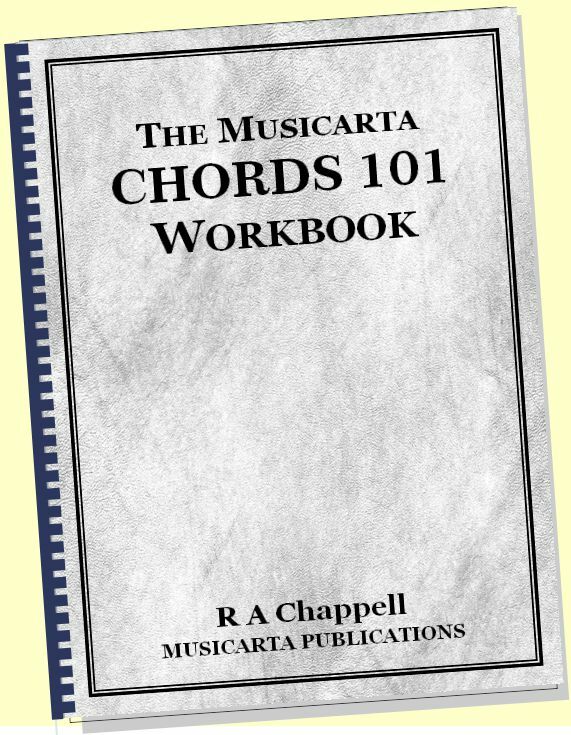 The three thorough and methodical lesson series in the new Musicarta workbook have proved that, with the right material and approach, anybody can master syncopated rhythms – when ‘just trying’ won’t work. Eighty graphic-rich, example-dripping pages filled with classroom-tested practical activities – the very opposite of a dry, theoretical text-book! The pdf is A4 size but prints to US letter without a hitch. Musicarta’s unique web-supported learning model lets you listen to audio of all the musical examples on members-only web pages which duplicate your study modules, accessed via a password-protected members’ portal page. This saves you fiddling around with example audio on your desktop and will radically improve your studying efficiency. – and the MidiPiano virtual keyboard to turn them into individual training videos. There’s nothing quite like watching somebody else do it to prompt that ‘I can too’ response! 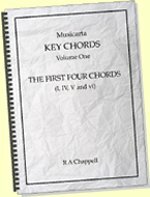 Yes, there are free-to-view ‘teaser’ videos of some Beat and Rhythm material, but the teaching videos on the members-only pages – with simultaneous virtual keyboard playback showing exactly which keys to play, and practice tips – are as close to a personal one-on-one lesson as it gets. There are videos on the Workbook web pages which do not appear in the public space. When you buy Musicarta, it's not sayonara and thanks for the money! A brief look at the site blog page should convince you that Musicarta is growing almost every day! The Beat and Rhythm Workbook will continue to grow and improve. New postings will be announced on the Member’s Home Page and owners will be informed via special Beat & Rhythm newsletter bulletins, which wil also give purchasers download instructions for hard copy learning notes where appropriate. Postings will also be announced via the site RSS and will subsequently appear on the site ‘What’s New’ blog page. Members (purchasers) will always have access to teaching material and enhanced versions of new material not available to the general public. Written music conveys complicated rhythms accurately, but on the page they are difficult to read and write. If you’re aiming to improve, you need to apply yourself directly to the problem. 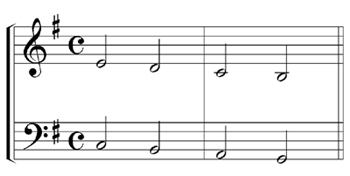 This page on counting and writing difficult rhythms will help demystify those pesky dots and rests. You can use a simple drum machine ('rhythm station') to make sense of written-out rhythms. Computer-based rhythm stations don’t have to divert down the electronic music road. On the contrary, free entry-level rhythm stations can help develop even elementary rhythm skills in several ways. Hammerhead is a simple, free drum machine that's great for getting started – and was used to create the audio tracks fr the Tapping Exercises Modules. Three-four (jazz waltz) and five-four time are next in line for the beat map and audio treatment. Playing three-against-two (/four) is the 'coming of age' rhythm skill. Approached methodically, it's not as hard as it seems at first! Stay posted (see below) for advance preview of Mister Musicarta's patented method! To get the maximum benefit from your purchase, always check the online modules for material posted after publication! New material is constantly being added to the Musicarta website. Stay in touch and keep your musical life kicking! Get the site RSS feed to stay posted or visit the blog page﻿ regularly to see what's new. Subscribe to the Musicarta Newsletter for quarterly round-ups and specials and subscribe to Mister Musicarta YouTube for notification of video postings.